~~GuRu bHaI~~: End of an Era! Apart from politics, there are only two things on which most of the Indians are crazy about. One is ‘Bollywood’ and the other is of course ‘Cricket’. Cricket in India has more followers than any religion has. Interestingly, unity grooms in every Indian heart when it comes to cricket. Though the craze exists from few decades ago in the country, the intensity of furore has got its superlative shape purely because of the supernatural human named “Sachin Ramesh Tendulkar” on the field. He inspired almost every cricket fan in the country from six to sixties. In fact, I believe in the popularly known factoid about him “Commit all your crimes when Sachin is batting. They will go unnoticed because even the Lord will be watching”. Ironically, his recent announcement on retirement from ODI has been the emotional shocker not only to Indian but to world cricket despite the petty talks from useless critics. Nobody on earth is deserved enough to postulate this legend to move out of cricket field but seemingly the contemporary happenings forced him to take this decision. Anyways, he has created an unmatchable history of records in world cricket in all forms which no other human could get ahead in the near future. He has been the most complete batsman of his time and has literally been worshipped by many including me. His experience is almost equivalent to my age and though being a diehard fan of Dada, I always used to agree that I am a deep follower of this little master. He has inspired me in almost all possible ways in cricket and I still remember in my childhood how me and my pals used to imitate all of his shots and tried to adapt his style of game like a mad. We hardly bothered any exams when Sachin was on the field the previous day. Even today, all commitments and engagements used to get deferred when Sachin is on the crease. His inspiration has potently persuaded across many generations. Having Sachin on strike has been a nightmare to all the bowlers of the world. He has blasted the deliveries of all the famous bowlers of world cricket throughout his career. No matter whether the game is of test, ODI or T20 form, he has been the king of all records ever made. His strokes, drives, hooks, scoops could never been effaced from our memories. He is really more than Bradman of our time. Following are few quotes about Master blaster which portrays how he has been conceived by people across the globe. World cricket is definitely going to miss this gentleman and the replacement is quite unimaginable in the offing. 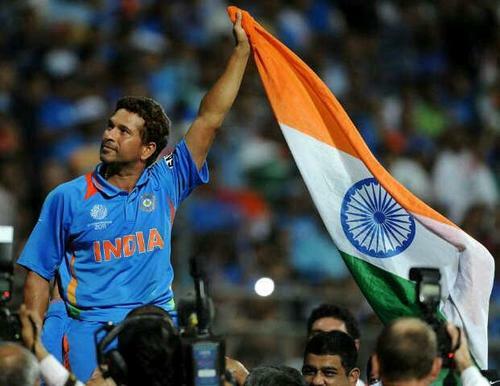 Both congratulations and thanks are emphatically understatements in depicting his contributions to Indian team. Eventually, the span of boon to Indian cricket has got over and we are going to experience a huge vacuum in the team which would ultimately be a herculean task for the rest players to fill up. Miss you badly Little Master…!